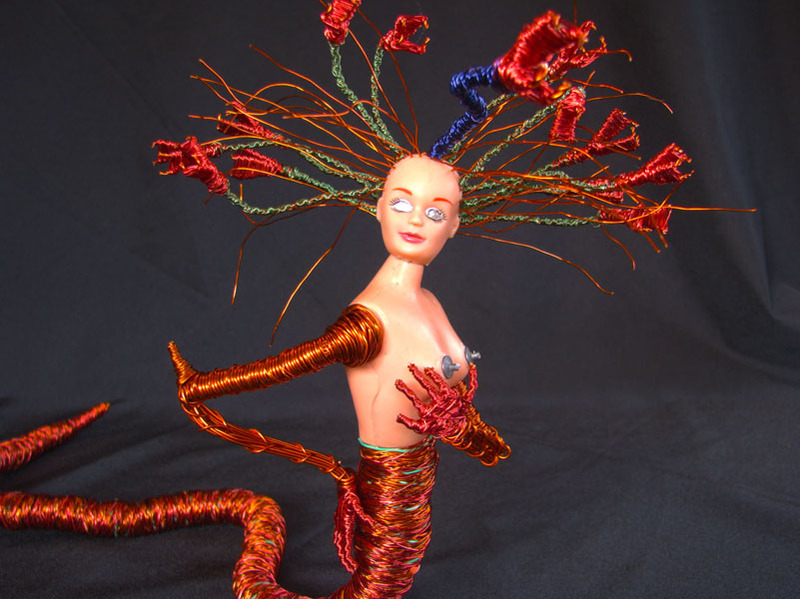 This sculpture stands approximately 8" tall and is about 15" long. 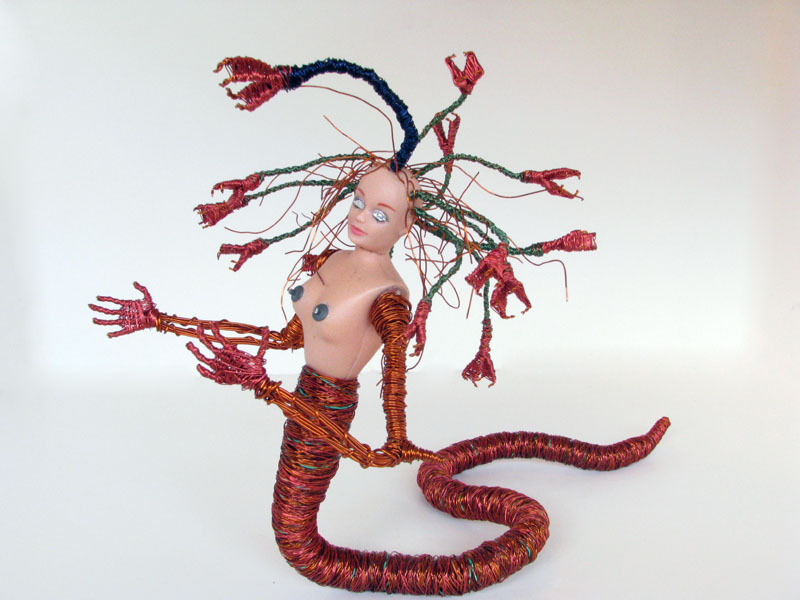 The Gorgon is my first Hybrid where doll parts comprised a significant portion of the sculpture. Well, not all the parts, just the head and torso. The dismemberment was bloodless and necessary.